WILD SUPPORTS EAGLES OF DEATH METAL! The morning following the attacks, Reno our graphic designer spontaneously made an artwork to express our feelings. The artwork features a crying eye within a Hexagon. A "B" (for Bataclan) entwined with a "13" (D-day) is forming a massive tear symbolizing the national sadness. 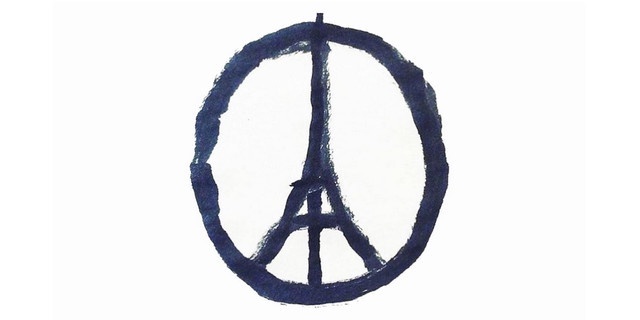 Following this, Julien has immediately decided to make a guitar paying homage to the victims of the Bataclan's attack. This guitar is called "SOUVENIR 13". 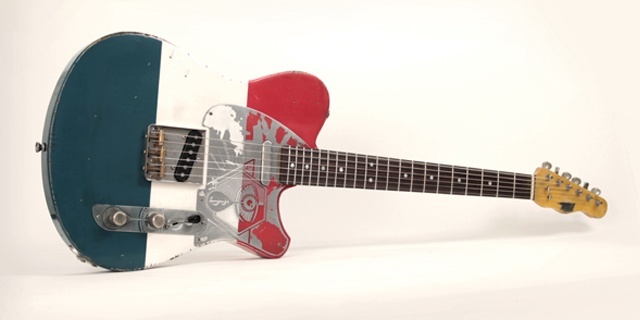 This one-of instrument is full of symbols : the French flag finish, Reno's artwork etched on the scratchplate, the guitar has been aged on purpose by Julien to evoke the atrocity of the attacks. 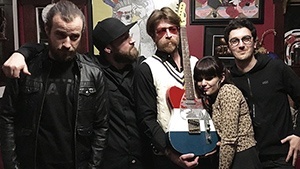 Jesse Hughes is the leader of the Eagles of Death Metal. We've met him in Los Angeles where we're exhibiting our instruments at the Namm Show. Jesse told us what he has been through during that terrible night. Beyond the trauma, Jesse told us that he's really impatient to tread the stage of the Olympia (16th of February / Paris). 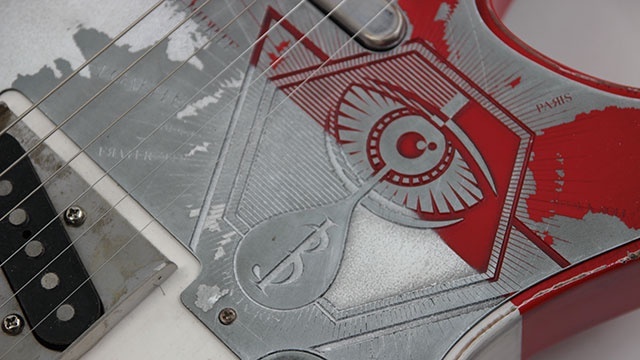 Jesse will sign the guitar "Souvenir 13" and play it the 16th on the Olympia's stage. 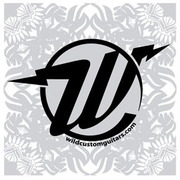 It has never been question of selling this guitar for the benefit of our company. 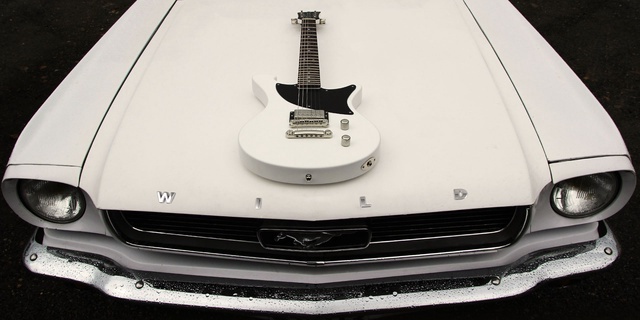 We've always wanted to make this guitar a strong symbol of resistance against violence and terrorism. We're organising a raffle where all participants will be in with a chance of winning the guitar "SOUVENIR 13". 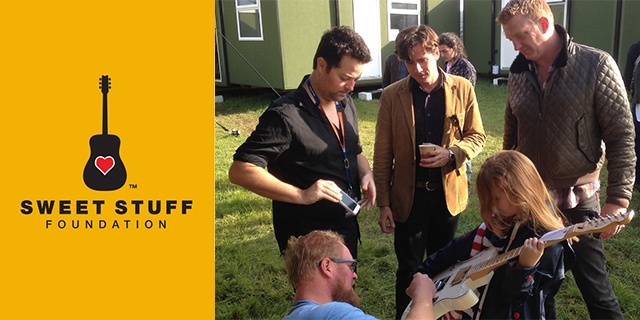 All benefits of the raffle will come to the Josh Homme's Foundation "THE SWEET STUFF". Josh Homme is playing drum on the last Eagles of death Metal and is the leader of Queen of the Stone Age. He is highly involved in giving assistance to career musicians, recording engineers and their families struggling with illness and disability. ETCHED PICKGUARD FEATURING THE ARTWORK "SOUVENIR 13"
ETCHED CONTROL PLATE FEATURING THE ARTWORK "SOUVENIR 13"
One pledge = one chance to win "SOUVENIR 13"
2 pledges = 2 chances to win "SOUVENIR 13"
All benefits of our campaign will go to the "Sweet Stuff Foundation" which was founded in 2013 to give assistance to career musicians, recording engineers and their families struggling with illness and disability. The mission of The Sweet Stuff Foundation is to help our musical community and their families with the vital elements often overlooked during periods of illness and disability. Things like transportation to medical treatment, assistance with childcare and tuition, income assistance, the "last wishes" of a lifetime, and special treatments not covered by insurance. The healing power of music is also a vital form of preventative medicine. That's why the Sweet Stuff Foundation's two prong approach is also committed to providing assistance for music lessons, instruments, and musical collaborations for children. To help foster an atmosphere of creativity & introduce a healthy outlet via music, so that the "Sweet Stuff' will continue for generations to come. 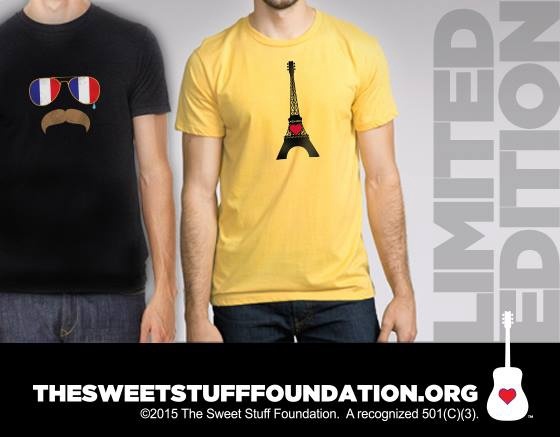 Join Jimmy Eat World, Paramore, Joshua Homme and others and "Do the Sweet Stuff." 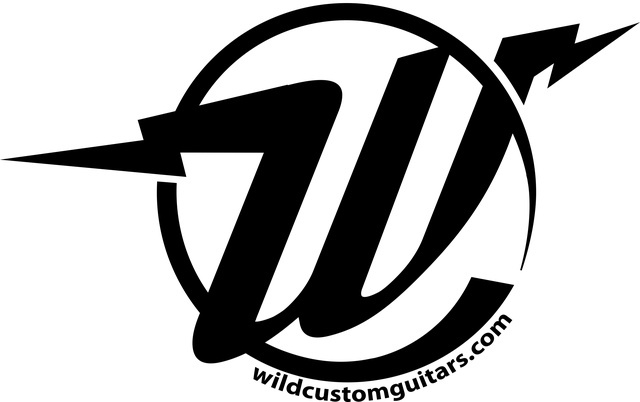 WILD CUSTOMS is an artisan workshop… a human-sized company delivering finely crafted instruments that will delight the most demanding guitarists. 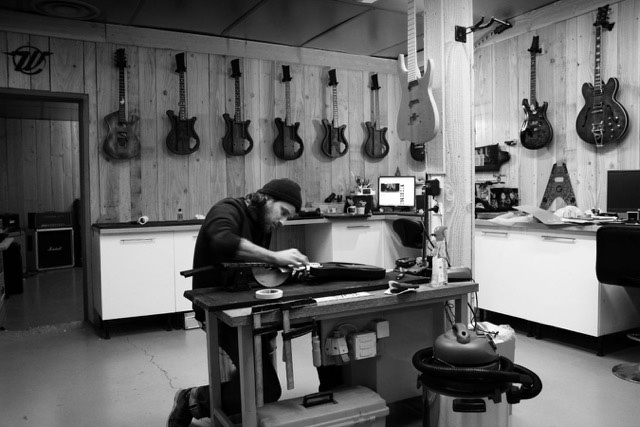 Our guitars are designed, built, and finished entirely by hand in our workshop. A DONATION TO THE FOUNDATION "THE SWEET STUFF" AND 1 CHANCE TO WIN "SOUVENIR 13"